Without any iota of doubt, the Lord has been so good to us. He has never ceased to be faithful and kind. If it had not been for the Lord on our side, the devil would have destroyed us. We are who we are in Christ because of the goodness of God. For these reasons and many more, we need to make thanksgiving our lifestyle. Thanksgiving is an indispensable activity for every child of God. For our lives to experience the blessings of the Lord on a continuous basis, we need to thank Him. I sometimes marvel when I see people complain about their situation. Before complaining about your situation, take a critical look at another man’s situation and you will realise that you have enjoyed the goodness of the Lord. A lifestyle of thanksgiving can make a lot of difference in our lives within a short time. Through thanksgiving, lost glory can be restored, as was the case with King Nebuchadnezzar (Daniel 4:34-37). When you adore and reverence the Almighty God, when you acknowledge Him as the source of your wealth and greatness, and see all you have achieved as being made possible by His hand, then God will be committed to preserving all He has given you. Thanksgiving is the door that ushers you into God’s blessings. For His greatness, goodness and wonderful works to the children of men, we must thank Him. The only reason why many of us are not on the street begging is because He is our Great Provider. We walk with our shoulders high because He is our Defence and Deliverer. 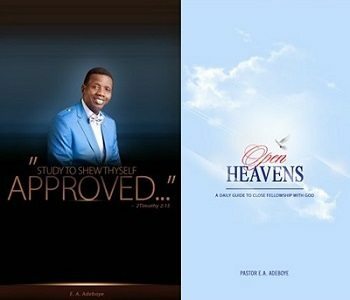 Open Heavens Devotional 2017 Tuesday 21 February 2017:- Benefits of thanksgiving. He remains our Rock and source of strength in every situation. Wherever we gather together as a congregation, I tell my children to praise and thank God wholeheartedly. Thanksgiving is not something you do in a hurry because God also takes His time as He blesses us with unprecedented miracles. There are blessings reserved for those who thank the Lord. He will always launch them to the realm of unimaginable favour. Our thanksgiving will only be acceptable to God if it comes from a heart of worship. For you to worship God in truth, you must live a holy life. Believers will always win the battles of life, as long as there is no impediment to their worship of God. We must be able to lift up clean hands and a pure heart to our Maker at all times (Psalm 24:3-4, Philippians 4:6). We must be honest and upright in character and reflect the nature of God in our dealings. Keep your heart pure so that your joy can be full. With a pure heart, you can make your request known to God and there will be instant response from the throne of grace. Key Point: Those who come before God with thanksgiving can never live by the mercy of men.